Today’s guest blogger, Temple University student Matt Cahill, reflects on his experiences doing research at Bryn Mawr Special Collections as part of the Cultural Fieldwork Initiative organized by Greenfield Digital Center Advisory Board member and Temple University historian Christine Woyshner. We wish Matt well as he completes his studies and student teaching later this year! Prior to this experience, I did not have much experience working in cultural institutions, beyond doing outdoor maintenance for a historic property in Haverford Township. As a result, I was excited that I was going to be spending time during my Fall semester at Bryn Mawr College Special Collections! Since Bryn Mawr is one of the oldest women’s colleges in the country, they have a vast collection of artifacts, documents, and photos relating to the College and women’s history. I was surprised how many people entered Special Collections just to look at the archives! 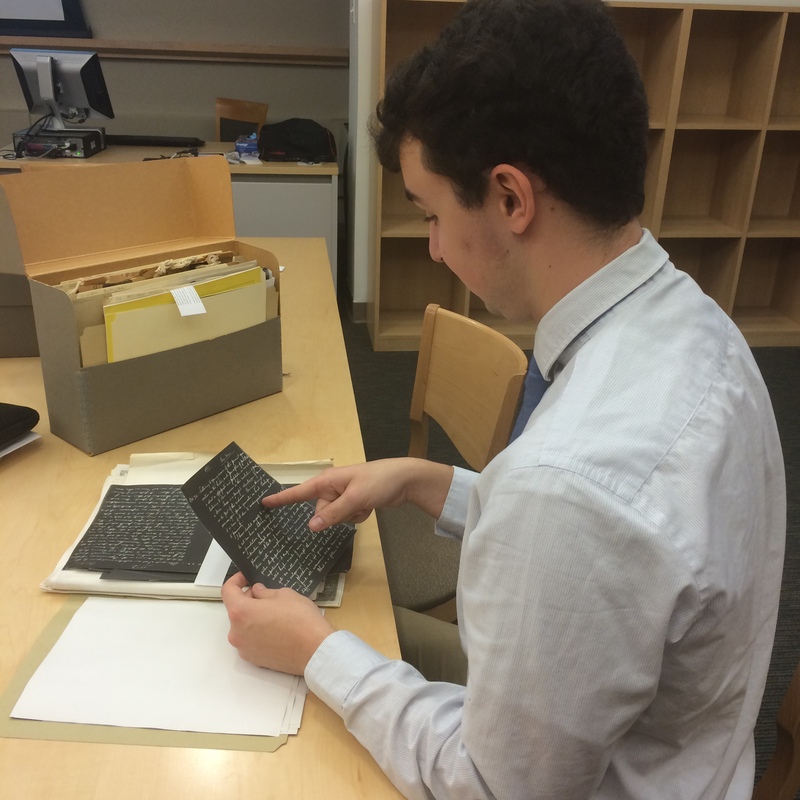 For example, when I attended a Personal Digital Archiving Day workshop, members of the Bryn Mawr College fencing team came wondering how they can preserve their history for future generations to study. There were also scholars from as far as England who spent time in the Special Collections reading room. Since I live by the College, I take it for granted. I thought only very large museums and institutions [maintained] special collections. However, I realized that no matter the size of the institution, it is important to maintain collections because they provide a lens for understanding larger events or phenomena. The best example of this was on my very first day, as I was finding my way to campus. 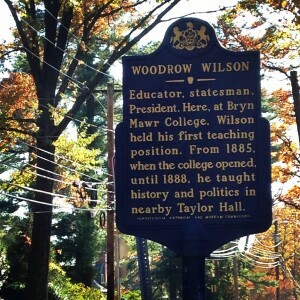 At the entrance of the College’s guest parking lot, there is a historic marker about President Woodrow Wilson. 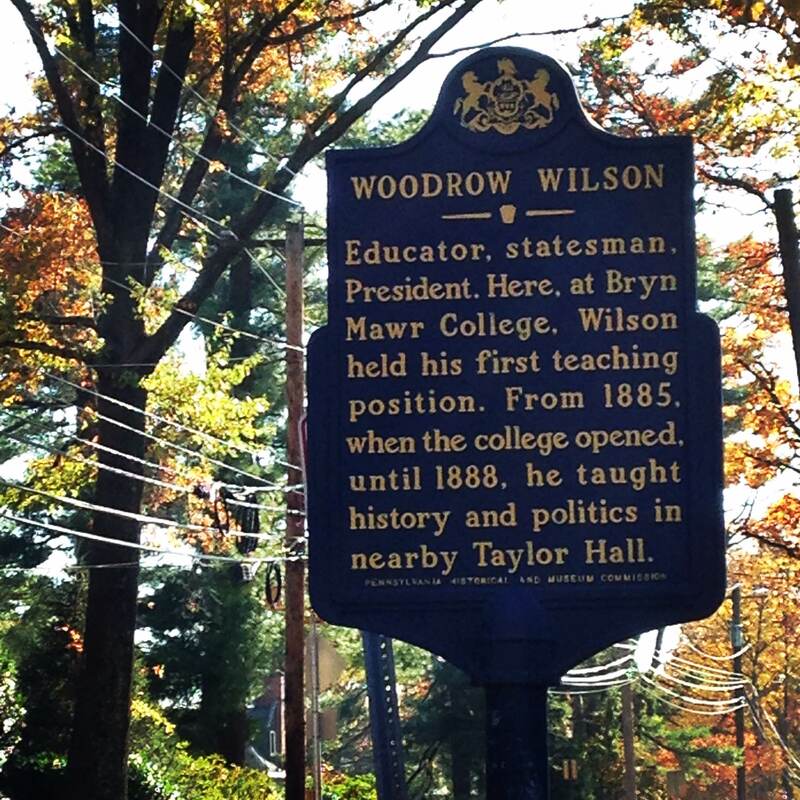 Reading the marker, I found out that Wilson was the first history professor at the College in the 1880s. I lived nearby for years and never knew this! So when I started looking through Bryn Mawr Special Collections, I went straight to the collections of faculty papers. Some of the files I read included syllabi from Wilson’s classes and letters he sent. One letter I found was Wilson complaining that teaching women was below him — he did not see the point. I found this extremely interesting because Wilson later became the President about the time of the woman’s suffrage movement. By reading a letter like this, I was saw Wilson’s views of women before he became a national figure.